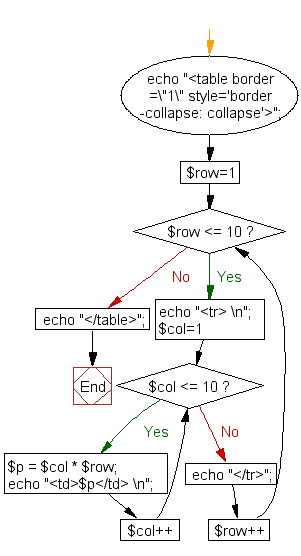 Write a PHP script that creates the following table (use for loops). 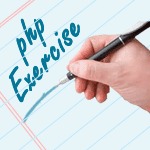 Previous: Write a PHP script using nested for loop that creates a chess board as shown below. Next: Write a PHP program which iterates the integers from 1 to 100. For multiples of three print "Fizz" instead of the number and for the multiples of five print "Buzz". For numbers which are multiples of both three and five print "FizzBuzz".